Are You Needing Bail Bonds Service in Indiana? Call Indiana Bail Bonds Today! If you or someone you love has been arrested, you know it can be a scary situation. It can prevent you from going to work, being with your loved ones, and living your day to day life. Because of this, it is important to secure your release from jail as soon as possible. Not only will your release from jail help you go back to work and being reunited with your family, but it will ensure that you can prepare for any trial that you might have. 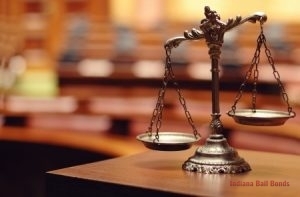 At Indiana Bail Bonds, we are a licensed and professional bail bond company who offers a number of reliable and fast bail bonds service in Avon and Indianapolis, IN. Whether you need bail for a DUI arrest or you need emergency bail bonds, our bail bondsmen are able to help you through the entire process. We know that if you aren’t familiar with the bail bonds process, it can be confusing. Because of this, we will always work closely with our clients to ensure they understand the process and answer any questions that they might have. By working with our bail bond agents, you will receive compassionate and discreet bail bonds service for you, a family member, or friend. Give us a call today at 317-423-9300 to start the bail bonds process now. Get the Support You Need Through Our Professional and Confidential Bail Bonds Service. It can be tough to get the help you need when you don’t know where to begin. At Indiana Bail Bonds, we recognize that this might be someone’s first time using bail, but with our patient and understanding team, we will make it an easier situation for you. Once you call us for our services, we will help you understand the process and give you the bail bonds service in Avon and Indianapolis, IN that you deserve. All of our services are confidential and fast, ensuring you are not only protected but released from jail in a timely manner. We are also open 24 hours a day, seven days a week, so no matter what time of day or night it is, we will be here to help you. We take pride in the fact that we are able to help so many people gain release from jail. This is due in part by offering assistance for all types of charges and bail amounts, ranging from misdemeanors to felonies. Below are bail bonds that we offer our clients. Arrest Warrants If you have an arrest warrant, we can help you pay bail in order to remove the warrant. Bench Warrants For individuals who have been served with a bench warrant, call us and we can help you solve this problem. Surety Bail Bonds For those times when your bail is set in surety only, our bail bond agents are able to help out with our surety bail bonds. Domestic Violence Bail Bonds If you have been arrested on domestic violence charges, Indiana Bail Bonds can secure your release. 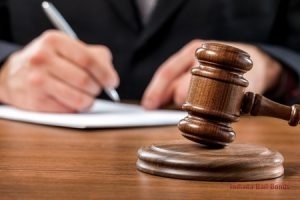 Drug Charge Bail Bonds Whether you or someone you love was in possession, manufacturing, or distributing, we can help with drug charge bail bonds. DUI Bail Bonds At Indiana Bail Bonds, we can help you get out of jail on a DUI charge with our DUI bail bonds service. Emergency Bail Bonds If you find yourself in a situation where you need emergency bail bonds, our bail bond agents have your back. Federal Bonds In situations where a federal crime has been committed, federal bonds will be needed; our bail bond company can offer your federal bail bonds! Felony Charge Bail Bonds Have you or someone you love been arrested on a felony charge? Please call us now for felony bail bonds. Misdemeanors Charge Bail Bonds Call our bail bondsmen today if you have been arrested for a misdemeanor and need bail bond services immediately. Probation Violation Bail Let us help you secure your release from jail on a probation violation with our probation violation bail bonds. State Bail Bonds For crimes committed that are considered a state manner, you will need our assistance with state bail bonds. Theft Charge Bail From misdemeanor to felony theft charges, our bail bond agents are here for you with our theft bail bonds. Weapons Violation Bail Bonds Get the help you need today if you have been arrested for a weapons violation and need bail bond services. If you or someone you love needs bail bonds service in Avon and Indianapolis, IN, please give us a call now at 317-423-9300. We will help you get released from jail and on with your life. Get Fast Bail Bonds Service Now! Don’t Wait! Call Our Bail Bond Agents Now for Bail Bonds Service. When you work with Indiana Bail Bonds, you are working with a bail bond company who will always go above and beyond for you. From traveling to your area to post bail to offering easy online services, we will ensure you get the best bail bonds service in Avon and Indianapolis, IN. Let our team of professionals make this situation easier with our reliable and fast bail bond services by getting in touch with our office at 317-423-9300. Don’t hesitate to call us when you need immediate assistance. We are ready to help put this behind you so you can live your best life. Updated on February 1, 2019 at 2:32 pm by Indiana Bail Bonds.